The bachelor program in Economics offers students fundamental knowledge of Economics and Business Administration, including economic methods. The program prepares students for professional positions in industry and services, public administration, organizations and political parties. By combining the fundamental knowledges of Economics and Business Administration with a second subject, the program qualifies for a broad range of professional positions. Within the bachelor program, Economics is offered only in combination with a second subject. Economics can be chosen as first or second subject. Economics has always an extent of 70 ECTS credits. The other subject sums up for 70 to 90 ECTS credits, in addition, 10 to 30 credits (depending on the chosen other subject) are gather with key qualification courses. 10 ECTS credits are gained with the bachelor thesis written in the chosen first subject. Be careful: This bachelor program in Economics with to subjects is part of the bachelor programs of the School of Humanities, Social Sciences, and Theology. It is not be confused with the one subject bachelor program in Economics offered by the School of Business and Economics in Nuremberg. 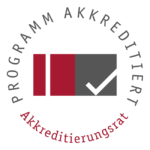 To pass the basic principles examination (“Grundlagen- und Orientierungsprüfung”), students must complete modules adding up to 20 ECTS credits within the program in Economics. Together with the complete modules from the other subjects, 40 ECTS credits must be obtained by the end of the second semester. Latest at the end of the 4th semester, students must prove sound knowledge of to foreign languages, among them English. In most cases, the secondary school certificate includes this knowledge. You must presented the necessary certificates to the examination office. Within the bachelor program, you study Economics in combination with a second subject. You may choose from a broad range of attractive options by combining Economics with other subjects from the School of Humanities, Social Sciences, and Theology. Generally, Economics can be combined with every other subject from the two-subject bachelor programs of the School of Humanities, Social Sciences, and Theology. A combination of Economics with Sociology or Political Science offers a broad foundation of the knowledge in modern social sciences. Combining Economics with regional studies or languages gives the opportunity to in-depth analysis of political, cultural or economic characteristics of different regions. For the following combinations, we guarantee that the courses programmed for the same semester do not overlap: Archeology, Book Studies, English and American Studies, Franco-romance Studies, German Philology, Greek Philology, Islamic Religious Studies, Italo-romance Studies, Cultural History of Christianity, History of Art, Latin philology, Linguistic computer sciences, Medieval and modern Latin, Nordic philology, Middle-eastern Studies, Science of Education, Political Sciences, Sinology, Sociology, Dramatics and Media Studies. In general, there is moreover no overlapping with cultural geography. You may study Economics in part-time. The regular time for your studies is then 12 semester. Following the examination order, you should first pass the modules of the first four semesters of one subject and then the modules of the first four semesters of the second subject. In the remaining four semesters, you pass the remaining modules of both subjects and the bachelor thesis.